We are a well-known Manufacturer, Exporter and Supplier of wide range of Antibiotics Injections. We are the one stop shop in market for availing accurately formulated Antibiotics Injections. Antibiotics Injections such as Quitcef-1GM Injection and Quitcef-SB Injection can be availed from us at the most competitive prices. 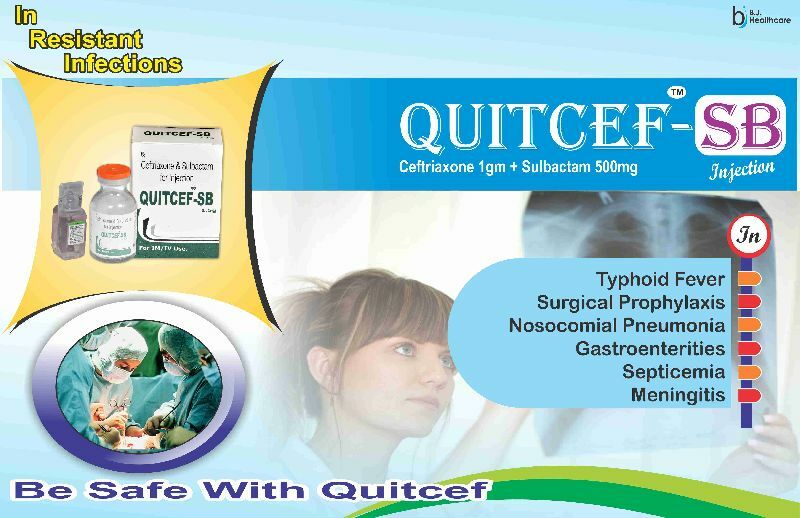 Quitcef-1GM Injection is made available by us. The Quitcef-1GM Injection is suitable for hospitalized patients. Quitcef-1GM Injection, offered by us, is taken in Typhoid Fever and Surgical Prophylaxis. Avail Quitcef-1GM Injection from us at very reasonable prices.